For the first time every a 4 way head to head comparison has been conducted at an independent NATA Accredited facility on Australia’s top 4 drum winches in the 240-250mm drum size. No cash for comment, no clever marketing, no smoke & mirrors, watch the video and see for yourself! We’ve all been witness to hot debate amongst boat manufacturers and their devotees alike. It can be quite comical, but often driven by “mines bigger than yours” mentality. The latest trend toward custom content makes it difficult to differentiate between independent review and advertorial. Boat performance is open to personal opinion with many variables, yet thankfully machinery performance can be tested and quantified. The marine winch industry seems fairly much self-regulating without checks and balances. There seems no authoritative means to ensure listed specifications are accurate. Bell Marine Viper Pro Series II 1000. Note – All models were recommended, and publicly advertised on their respective websites by their manufacturers as suited for a 6 metre boat, each with very similar 240-250mm drum size and rode capacity, and all with 1000 W electric motors except the Stress Free Mini with a 500 W rating. 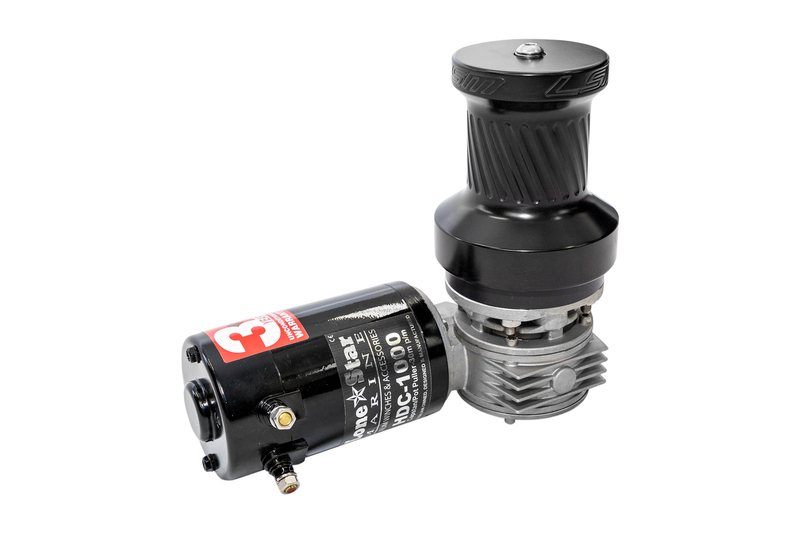 *Note this is the largest motor Stress Free currently offer as standard on their 250mm drum. Only one unit per brand was used in the range of testing. The testing laboratory ensured that each unit was set up in strict accordance with manufacturer’s instructions incorporating the switch panel, solenoid and circuit breaker as supplied with each individual winch. The winches were all powered by 3B&S cable with 25 square mm area and the battery charge checked & maintained constantly throughout. Let’s face it; all winches are made for one thing and one thing only – pulling stuff! The empty and full drum rewind tests show the real muscle with the absolute maximum pulling power. The tests were conducted with both empty and full drums allowing for variance in torque due to spool diameter. 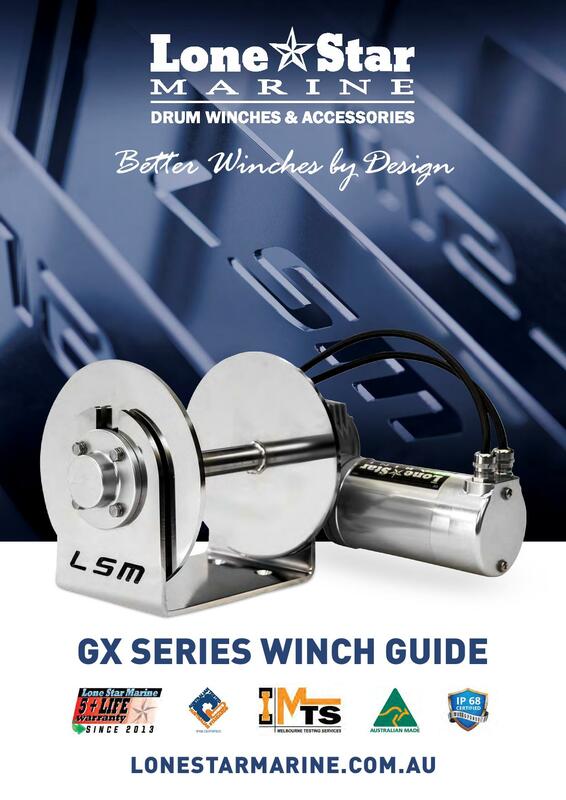 Drum winches are bi-directional (can run either way) hence tests were run in both directions and the results registered on a calibrated universal test machine. The maximum pull on an empty drum test was conclusive with Lone Star Marine’s GX2 coming out a clear winner pulling a massive 598 kg more than its closest competitor, and 1001 kg more than the worst performer. The spools were then loaded with 8 mm double braided nylon rope on each drum, filled 30mm from the drum edge and re-tested. (The 30mm would normally allow for the anchor chain) The Lone Star returned an impressive 113 kg more pull than its CLOSEST competitor and a whopping 255 kg more than the lowest performer. Drop speed is an important factor for drum winches as we want to hit the desired anchor position quickly without an overrun. The drums were once again filled with 8mm double braided rope to 30mm from the drum edge. All of the units returned very even performance with the Bell Marine Vipor Pro Series 1000 dropping the fastest (50.4 m/min)some 7.2 metres per minute faster than the slowest Savwinch 1000SS (43.2 m/min). Lone Star’s GX-2 (46.7 m/min) was a minimal 3.7 metres per minute behind the Viper, and StressFree (45.5 m/min) only 4.9 metres per minute behind the leader. In practical terms with most anchoring for recreational boats being performed in less than 25 metres of water there is only a matter of a few seconds separating the brands. This was the real eye opener! In this test the units were required to lift and lower under power a 50kg weight suspended from a rope through an overhead pulley 5m from the ground repeatedly for a test period of 100 cycles or until the circuit breaker was tripped or product failed. This was indeed a torture test designed to push products to their limits under continuous heavy load. We wanted to get an idea on sustained torque in these extreme conditions such as a lodged anchor with adverse effects such as tide and swell; in common terms how much grunt, and for how long? The Lone Star Marine unit performed the task for the required 100 full cycles, up and down. The Savwinch completed only 2 cycles before stalling the motor. StressFree completed 29.5 cycles before tripping the circuit breaker, and the Bell Marine Viper tripped the circuit breaker at 42 cycles. Comment – After stalling 2 cycles the Savwinch failed to operate again that day. The Viper failed after the test, about halfway through unwinding the rope. Both the Lone Star & Stress free remained functional as normal. After the test and prior to dismantling, each unit was reconnected to their power source and assessed. The Lone Star Marine, Savwinch and Stressfree Marine winches would rotate in an unloaded state. 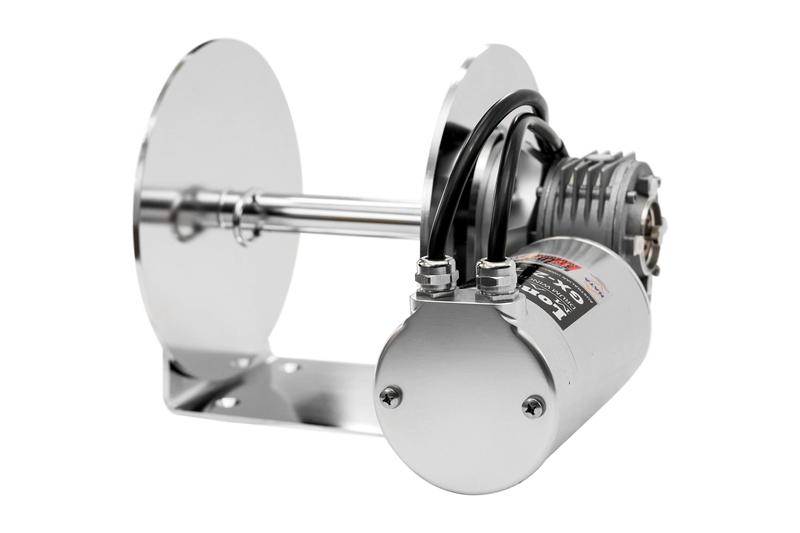 The Bell Marine Viper winch simply would not activate or rotate. All winches were then quote: “dismantled and the internal components examined for signs of failure or excessive damage. All the internal components of the Lone Star Marine, Savwinch and StressFree winch motors were observed to be in working order with no cracking, melting or other forms of physically observable failure. During disassembly of the Bell Marine (Viper) winch motor a pungent odour typical of burnt electrical components was evident. The rotor coil was found to have jammed against the surrounding magnets. Plastic components attached to the poles and brushes were observed to have melted, spreading debris throughout the motor. Upon forcibly removing the rotor coil the magnets were observed to have cracked and shattered and the rotor coil was covered in debris consisting of fragments of plastic and magnetic material.” In layman’s terms the motor was totally burnt out. It’s interesting to note the Stress Free Marine Winch was perfectly operational immediately following the test. It may have completed fewer cycles than the Viper but it did have the distinct advantage of working again, the motor appeared in perfect condition. In this case the circuit breaker seems to have done its job in protecting the motor from damage. Keep in mind this manufacture rates these motors as 500W, as opposed to all three others which rate their products to 1000w. The motor was at ambient external temperature immediately following the test. The stalled Savwinch is a bit of a mystery with no explanation for stalling and failure to operate again that day. Upon full inspection all internals appeared to be in perfect condition. The motor was at ambient external temperature immediately following the test. The Lone Star GX2 is an anomaly; in 100 cycles the motor did get hot to touch yet failed to trip the circuit breaker. Internal inspection revealed no damage and the unit continued to function as normal. Following the test the Viper motor was hot to touch, and as stated suffered complete internal failure. 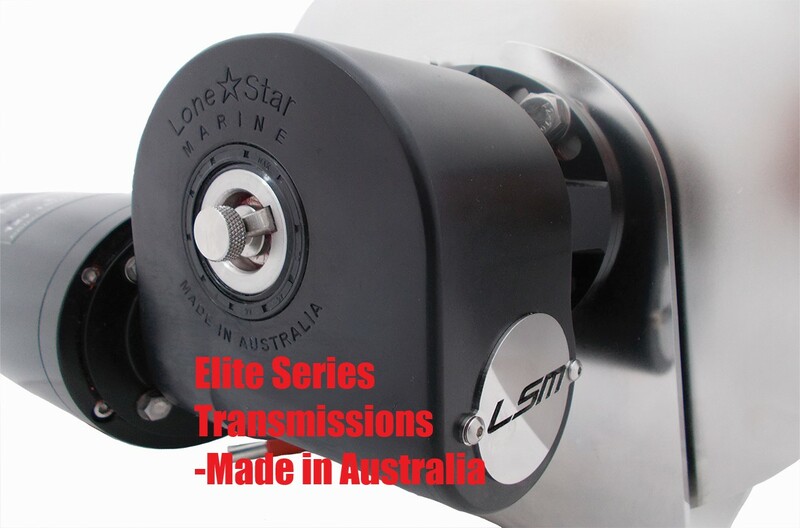 The Lone Star Marine GX-2 winch conclusively out performed all competition in every test other than drop speed. Now if only we could find a laboratory that can test boats in real time quantifiable performance such as this winch test we’ll really be getting somewhere!